Explore the wind music of the Classical and early-Romantic period, 1780-1820. Harmoniemusik specialists from Boxwood and Brass will guide you through sextets and octets by Mozart, Beethoven and Krommer as well as historical transcriptions of operatic and symphonic music for 5 to 9 players. The course includes a mix of sight-reading and in-depth work on prepared repertoire. We are looking for oboe, clarinet, bassoon/contrabassoon, horn players (modern or natural) and double bass, of a confident Grade 7 to conservatoire level. Students will leave with a broader knowledge of the repertoire for Harmonie and the ensemble playing skills it requires, including elements of style and performance practice. 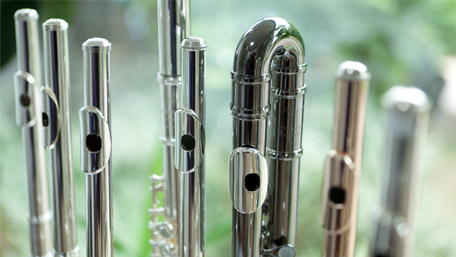 You will also have the chance to learn about historical wind instruments. Martin Lawrence will lead a workshop for players of natural horn and those interested to try it, as well as a class on dealing with Performance Anxiety and morning Yoga sessions!